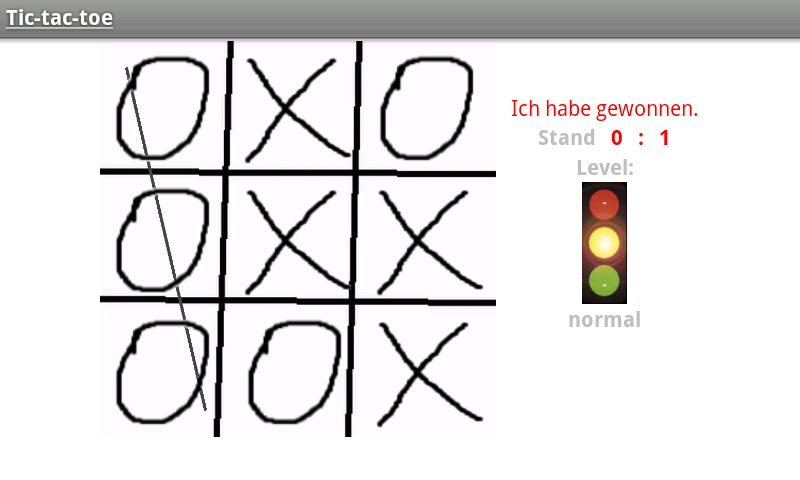 The player (X) plays against the Android App (O). 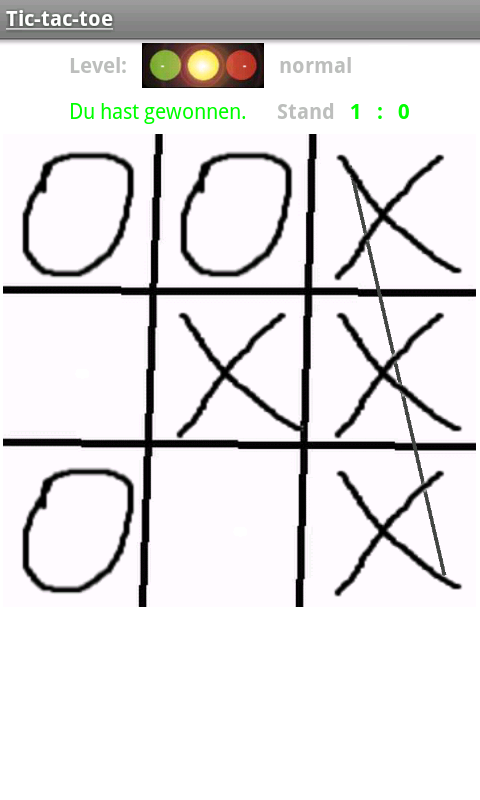 The two players place their mark alternately on a 3 x 3 squares wide playing field. 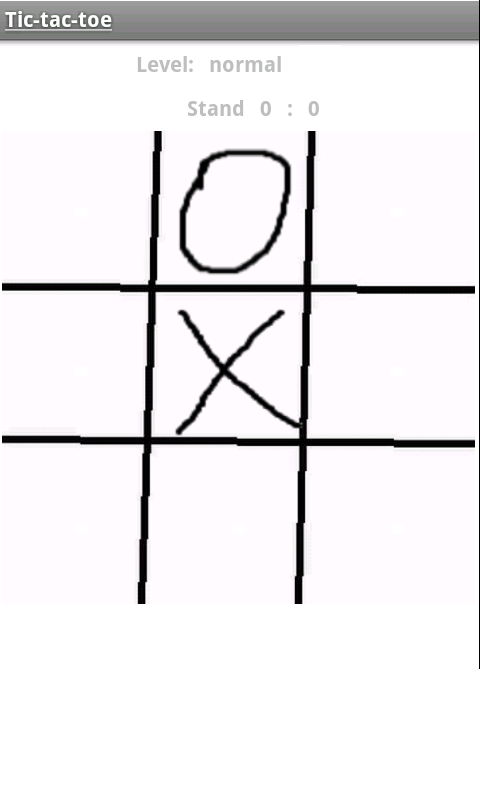 Who sets the first three of his characters in a row, column or main diagonal is the winner. Skill level of your opponent can be adjusted.